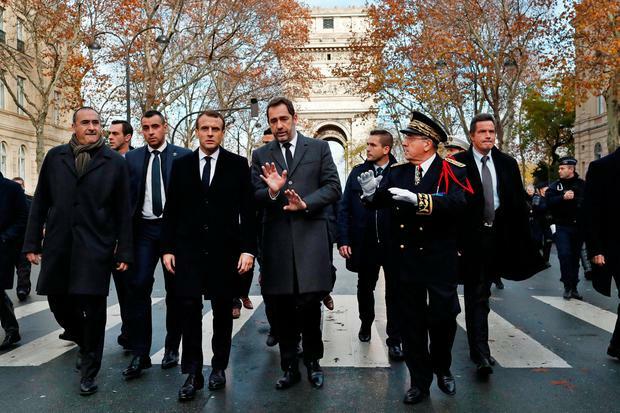 Several thousand riot police were overwhelmed on Saturday as they fought running battles with protesters in the shadows of some of Paris' fabled landmarks and through its fanciest shopping districts. 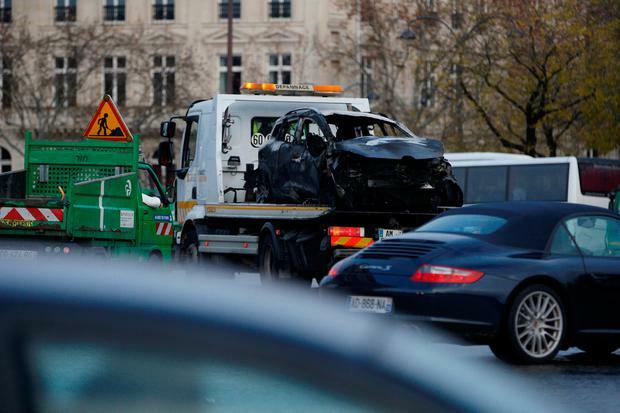 More than 400 people were arrested and more than 100 injured, shocking Parisians and tourists alike. "I've worked on monuments around Paris for 20 years and I've never seen anything like this at the Arc de Triomphe. 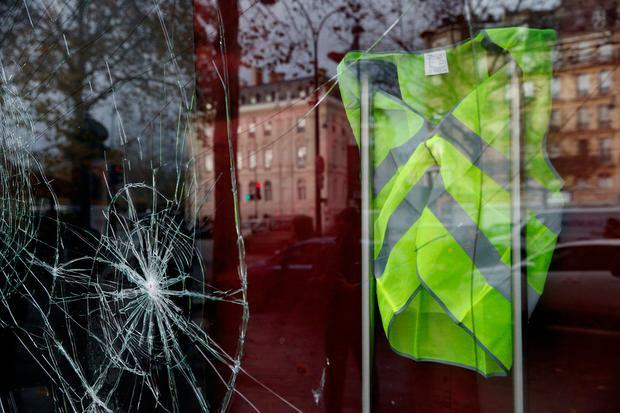 It was carnage," a Paris City Hall official overseeing the cleanup said as his team worked on a graffito reading "Macron resign". Lasting damage might be caused if crews are forced to erode the arch's stonework to render it clean, he said. 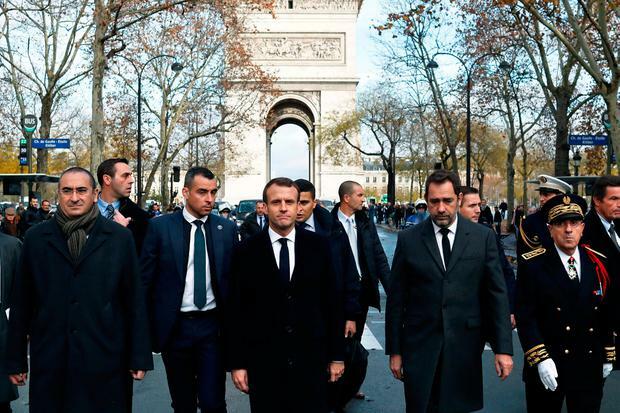 Parisians and tourists surveyed the aftermath, capturing the moment on smartphones as the capital digested the chaos that now poses a serious challenge to Macron's presidency. 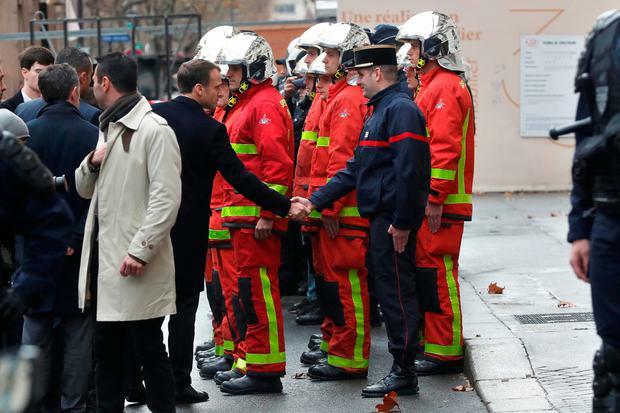 "Macron has a problem on his hands. Everyone's fed up. 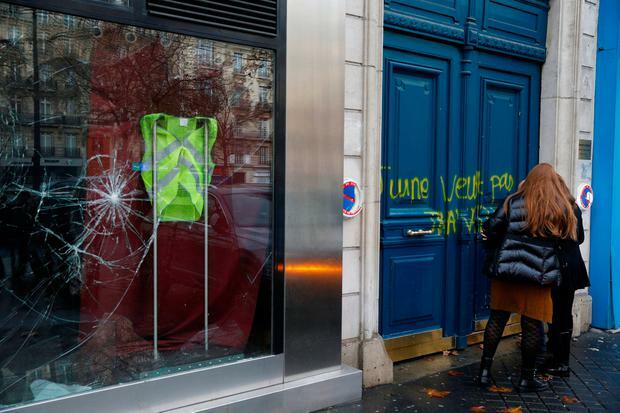 He's got to listen more," said Amaya Fuster, eyeing graffiti daubed on a Printemps department store window that read: "There's enough money in the coffers of businessmen. Share the riches!" "We thought, 'Oh, that's our holiday over'," said Yao Lei, a Chinese tourist from Shanghai who arrived in Paris at dawn and had received video images of the chaos on his flight. "We're here to shop but we wondered if we'd have to go straight to Milan instead."